Anemia is silent killer for Livestock. This is generally ignored by Indian farmer due to non availability of on the spot field diagnosis. The cause of anemia can be due to various reasons like Malnutrition, Parasite infestation, Bacterial, Virus and Protozoan diseases. Vetoquinol India has come out with on Spot field diagnosis for mitigating this risk. It helps Vets, Para vets and farmers to identify the anemic animals and immediately treat them. Vetoquinol's sales executives have conducted over 27,070 Hb test on ruminants. 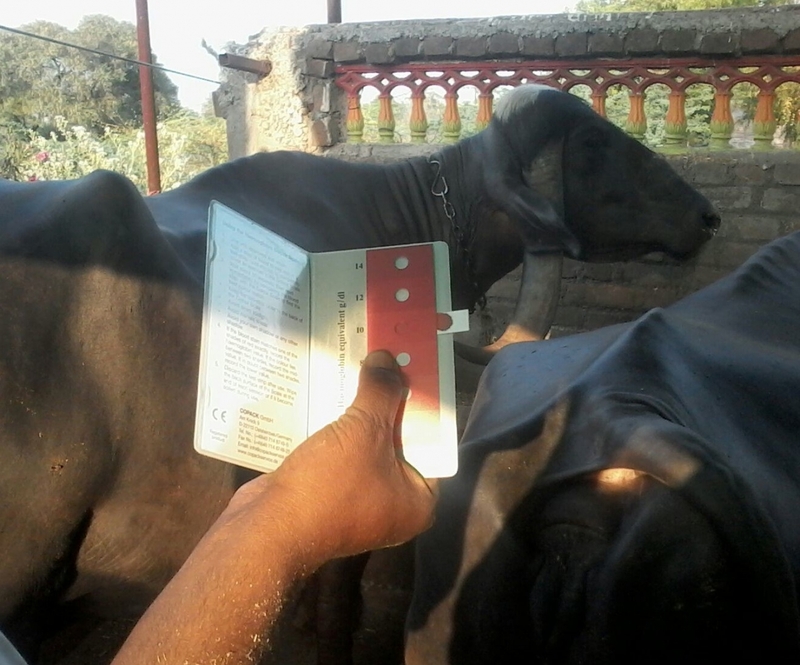 The test involves in taking drop of blood from ear vein of animal and after drying on Hb strip, the blood level is matched with predefined color indicator. The anemic ruminants are supplemented by aRBCe RAKKT for 10 days which helps in improving the Hemoglobin level. Multiple mycotoxins contamination is a real concern in poultry industry. To minimize the risk of mycotoxicity, we provide free multiple Toxin analysis service to our valued customers. This helps farmers to study and record various types of Toxins found in feed and provide guidelines for proper use of Toxin Binders. As per need, some of the samples are also being sent to Dex iberica laboratory in Spain for detailed analysis. Vetoquinol offers Toxidex a unique Toxin Binder which is a multiple toxin adsorbent and toxin neutralizer.